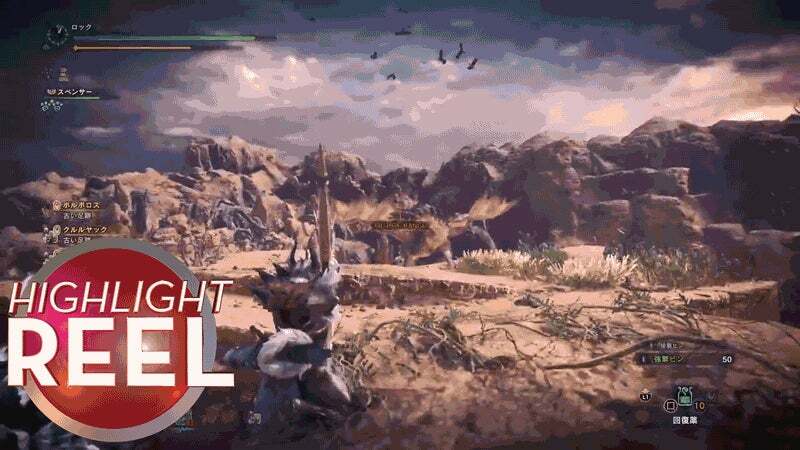 Today on Highlight Reel we have tons of Monster Hunter: World clips, close shaves, Dragon Ball FighterZ moments, and much more! Watch the video then talk about your favourite highlight in the comments. Be sure to check out, like, and share the original videos via the links below. Highlight Reel is Kotaku's regular roundup of great plays, stunts, records and other great moments from around the gaming world.